As I think back on the places I’ve been, one recurring theme jumps out that helps to answer that most important question… why travel? Such an all-important theme, for me at least, is the human connection through and across time. Being where other people have been, and somehow reaching back and understanding what made these people tick. Such connection comes in many forms. I’ve seen it in those great, mysterious cave paintings where ancient hands grace the walls. I’ve seen it in steps worn down by countless feet. And in church walls blackened by candles burned over hundreds of years. These are the travel moments that I most enjoy, and that undoubtedly stick with me the most. The moments I’ll always remember, when all is said and done. 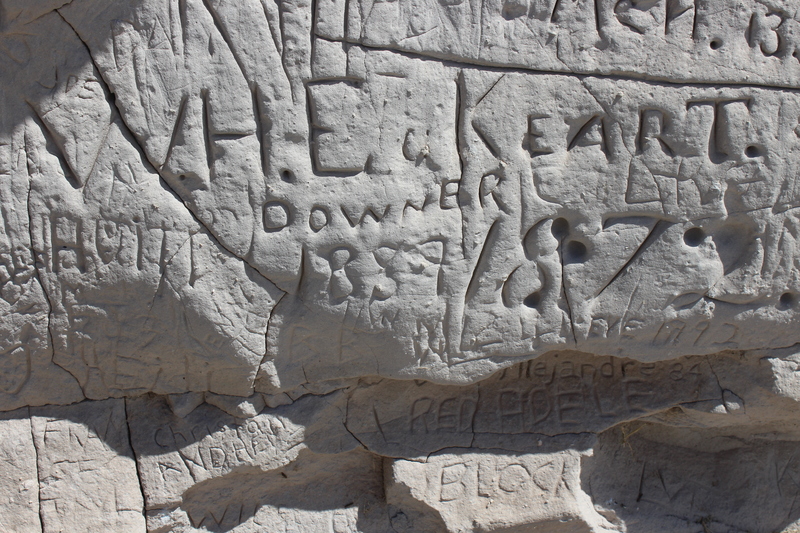 Driving through Wyoming I came across these little mementos of the lost past and of lost, almost forgotten people in the form of wagon wheel ruts, and names patiently cut into sandstone cliffs. 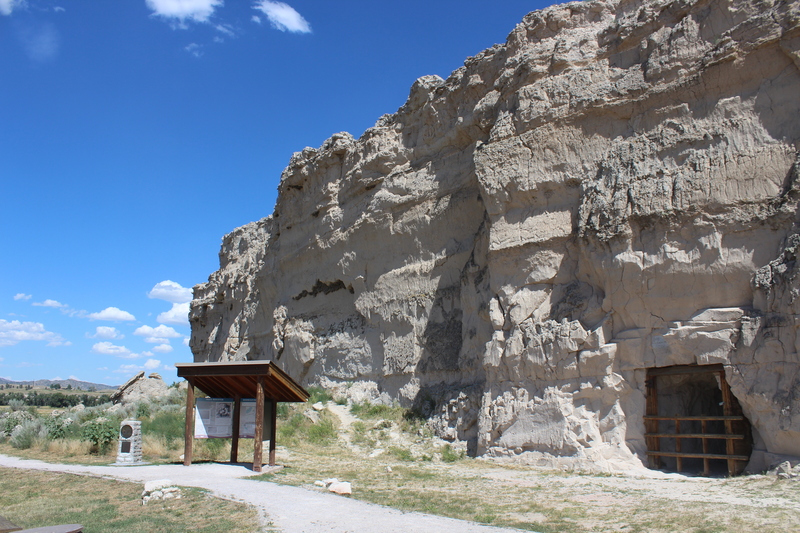 The ruts come from wagons plodding along the Oregon Trail in the mid-1800s, and that literally wore away the soft sandstone. 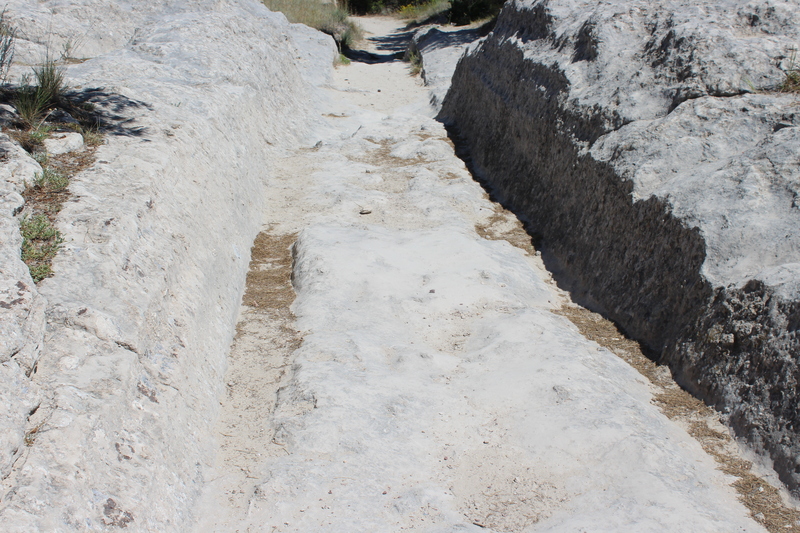 You can see where the wagons passed – and, by extension, you know that people were here. They went this way. They left something behind, literally in the rock. 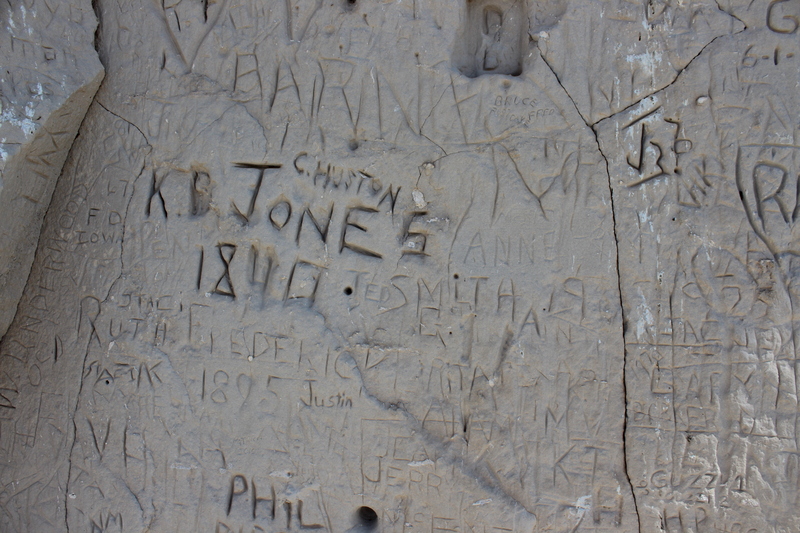 These remnants of the past come the most to life at the Register Cliffs nearby, right outside the town of Guernsey. 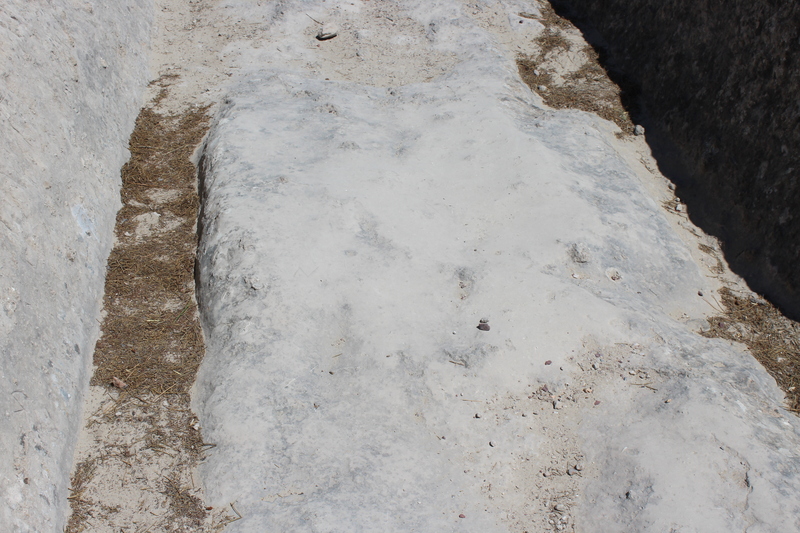 The ruts give way to actual human markings in the stone. People stopped here and signed their names, digging into the sandstone with the date and sometimes where they came from. I love this. You have a direct connection to these distant people. You read their names, and can’t help wondering what happened to them. Did they survive the trail? Where were they going? Preserved in the stone we have them. I also love how telling this is across time. How we need to do this, to make a point of declaring that yes, I was alive, I did this, I was here. It’s such a universal, human need. Anyway, isn’t this travel narrative the exact same thing?